What’s not to love about a bike? It’s low-cost transportation powered by renewable energy, a low-impact exercise for almost everyone in the family to enjoy, and an essential ingredient to creating cleaner, healthier, more sustainable cities. For Americans trying to make it through one of the hottest summers ever on record though, the idea of heading out on your bicycle might seem a little crazy, but summer is actually the perfect time to get your bike tuned up for fall riding, or find a new one for a great price. If you don’t have a bike, you can easily get a very nice one cheaply from Craigslist, Ebay, or the local paper. You can also rent one from a local bike shop or from bike sharing sites like Spinlister. But if you have a little money to spend, or special needs, you can go so far as to get a super-cushy, bamboo comfort-cycle or a solar-charged battery to get you up the hills without breaking a sweat! 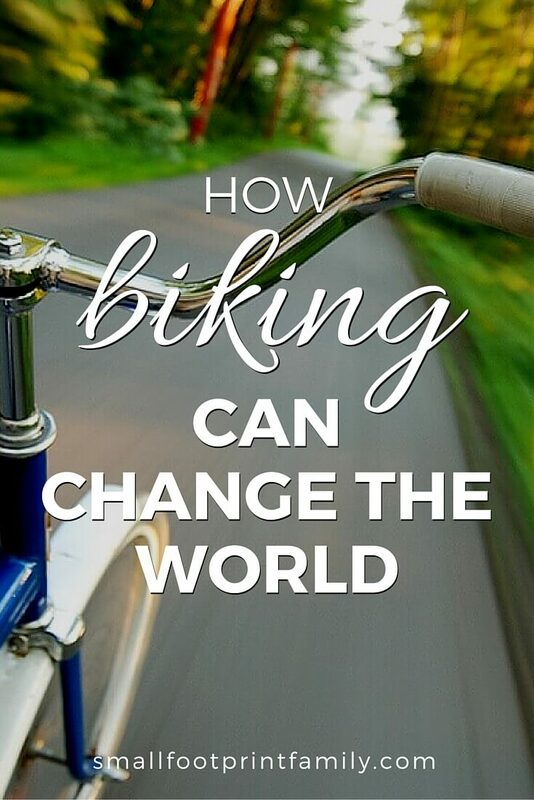 In fact, the new electric bikes make bicycling accessible to more people than ever! And these days, you can also find trailers of all types to schlepp everything from kids to groceries to golf clubs—making your bike a truly useful form of transportation. When the weather isn’t too hot, it might be a good idea to take that bicycle for a spin as often as you can. Inactivity-related diseases (like heart disease, diabetes, hypertension, and even cancer) are the number 1 killer in the United States. But by adding just 30 minutes of exercise to your day—perhaps by bicycle—we can save an average of $544 per person per year in health costs! Increasingly, cities are adding more and more bike lanes, and there are now bike paths stretching across most suburban areas as well. If you live somewhere where you can commute to work or run errands by bicycle, on top of the health savings, you will save tons of money on gas, parking and automobile maintenance. And as an added perk, according to at least one study, bicyclists also save time during rush hour when they can actually out-pace cars in urban areas. Traveling by bike not only gives you great physical and financial benefits, but also allows you to see the world in a different way. Biking is slower, and you can wave hello to a neighbor or stop whenever you want to look around at new things and explore. These days, slowing down and de-stressing may be the most important benefits of all. How will you reduce your transportation footprint this year? Really nice presentation on why we should ride a bike! Thanks for awesome writing! I can’t bike right now because I have a baby that’s not big enough for a bike seat or cart, and am pregnant again. I miss my bike! But I need to walk more. My home is just a mile from the grocery store but I usually drive but I’m going to try to start biking more. I’ve been trying to convince my husband to bike to work (we live close enough that he comes home every day for lunch and it only takes about 8 minutes each way) but he’s afraid to because there’s no bike path and the road he takes to work is a highway. I think I will write to our mayor to see about making our town more bike-friendly. Good article–I found it rather funny that the German speed limits tend to be less than 20 mph. I’ve never actually measured how fast my bike goes, but I bet I get it faster than that sometimes! Great info! I am going to share this with my kiddo. She is super excited to ride her bike to school next year and I am sure this will inspire her all the more! Thanks for sharing on Natural Living Monday! Great post! DH started biking to work a few years ago (about 4 miles one way) and we’ve been able to stretch the life of his aging minivan. His job is stressful so the bike home is very therapeutic too. I bike regularly during the summer–we’re fortunate to be within a few miles of stores and the library. If I need to pick up something I can bike or walk there–win, win! My biggest comment would be to remind people who decide to bike on the roads that they must obey the stop signs and traffic lights. I have witnessed too many bikers not obey these and almost get hit. It scares me to pieces! Thanks for sharing on our Healthy Tuesdays Blog Hop….I hope you will join us again next week. It’s been a long time since I’ve been on a bicycle but I’ve been thinking recently of getting back into riding. I have a friend who loves to bike who wants me to ride with her. Great post! 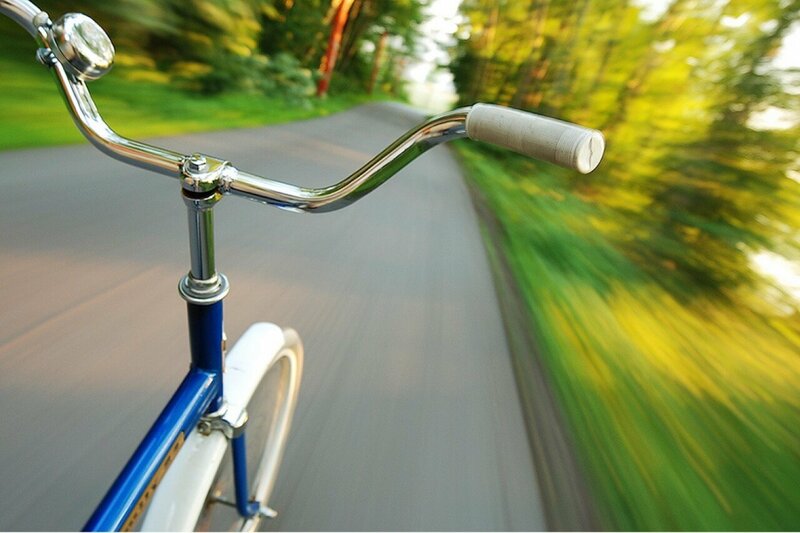 Cycling really is a great all-rounder – good for you, and good for the environment! I live in an extremely bike-friendly city (Chicago) but unfortunately, I have stage 4 cancer and riding along with so much car exhaust on the city streets just can’t be good for me or my lungs. It seems like the risks outweigh the benefits in my situation here, if I am craving a ride I’ll take my bike onto a commuter train out to a nicer suburb with a bike path on near less congested roads. I wish this wasn’t the case, but the air quality in my county is grade F as it stands! The sad irony is that if substantially more people biked (and the lake is a lovely place to ride! ), the air in Chicago wouldn’t be so bad that you would feel you shouldn’t ride in it! Air quality in the inner city is a concern for people with compromised immunity, cancer and lung ailments, and I wish you many, many years of beautiful suburban and country bike rides! yes, that’s the awful irony, isn’t it? Thank you for your well wishes and kudos on such a great blog! Nice article! I have a knee problem that makes bicycling very painful, but I walk a lot, which has many of the same benefits. Wow! What an adventure. Die hard cyclists always really impress me. They lead the way for the rest of us! The weight loss alone is enough to convince me! Yes I totally agree, I have always cycled from the age of about three on my first trike, now at the age of 65 I have just purchased a recumbent trike, so as they say “what go’s round comes round”. So to every one out there “get on your bike” if you have not got one, buy one and as well as helping the world help yourself to live longer.